There's something sinister about this midway attraction. 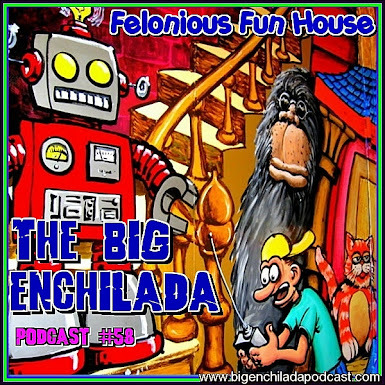 Step right up to the Felonious Fun House, where scuzzy carnival fun turns into a journey to the Beyond. And just when think it's over, it's time to take the funhouse slide down into the wild realm of psychedelic Africa. Lots of the music from this set comes from Soundway Records, in particular the albums The World Ends: Afro Rock & Psychedelia in 1970s Nigeria and Nigeria Rock Special: Pyschedelic Afro-Rock & Jazz Funk in 1970s Nigeria. If you liked this set, these albums would be a great place to start exploring more.